When Associate Professor Stephen MacNeil arrived at Wilfrid Laurier University in 2003, he knew that his passion for teaching would be valued by an institution with a reputation for supporting innovative teaching. What he could not have predicted is how this passion would drive significant growth and experimentation in his own pedagogical practice. MacNeil’s experience as an undergraduate student in small classroom settings at Cape Breton University and Acadia University instilled in him the importance of getting to know students on a personal basis and the impact of having an instructor who truly cares about their teaching and student learning. MacNeil was named one of Laurier’s inaugural teaching fellows in 2014. He received an institutional teaching excellence award in 2011 and a provincial award from the Ontario Confederation of University Faculty Associations in 2012. He has presented locally, nationally and internationally on his teaching methods and his research on metacognition and student learning. “Receiving awards for my teaching motivates me to continue to think deeply about teaching, introduce new evidence-based innovations that meet the needs of today’s students and the students of tomorrow and share my experiences with others,” says MacNeil. MacNeil has also received media attention as an early adopter of the flipped classroom approach – the practice of students reviewing course content in advance at home and applying that learning through activities during class. This approach extends to advocating for the importance of exploring other learning opportunities outside the classroom. “Laurier’s commitment to increasing opportunities for students to engage in experiential learning, recognizing students’ co-curricular activities, and placing a focus on students’ physical and mental wellbeing, acknowledges that student success goes beyond a single grade or classroom space,” says MacNeil. 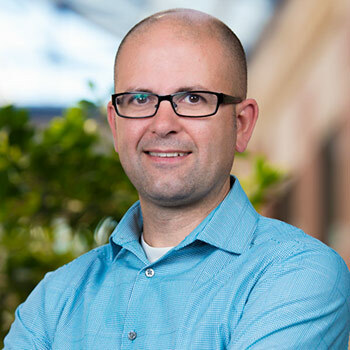 After attending a course redesign workshop offered by Laurier’s educational development department in 2009, MacNeil realized that he had been focusing too much on what his students were supposed to learn, rather than on how they were learning. “After that workshop, I made a commitment to better understanding the psychology of student learning,” says MacNeil. Being named a Teaching Fellow in 2014, a program that enables the fellows to pursue an individual program of activities designed to enhance teaching quality, allowed MacNeil to focus on this research. In collaboration with Eileen Wood, an award-winning faculty member in Laurier’s Department of Psychology, MacNeil embarked on a project measuring the impact of metacognition on student learning. In simple terms, metacognition is described as the act of ‘thinking about thinking’ and when applied to learning, focusing on the cognitive processes engaged in learning, such as how to tackle specific learning tasks. “The research showed that regular metacognitive activities, such as predicting upcoming test scores or personal reflection on their ability to complete different learning tasks, can improve not only students’ metacognitive abilities, but their exam grades,” says MacNeil. According to research done by MacNeil and Wood, along with existing research in the field, university students who are taught to build skills in accurate self-monitoring and self-assessment have higher performance outcomes. While this level of instructional support is an investment for the faculty member, it could help students throughout their academic life and beyond. Since 2011, MacNeil has also invested time implementing a two-stage collaborative testing model in a third-year organic chemistry course. Collaborative testing may sound counterintuitive to typical assessment practices, but there is evidence to support its universal student benefits. “Not only do the students get the opportunity to learn and interact with their peers in a meaningful way, the content retention levels are higher and research shows that test scores are improved,” says MacNeil. After receiving extremely positive student feedback on the use of weekly two-stage collaborative quizzes, two-stage collaborative midterm tests were introduced in the organic chemistry course in 2015 and 2016 marked the first year a final exam was completed collaboratively. In recent course evaluations, students indicated they gained an improved understanding of course content through group testing. Collaborative testing is beneficial to students, regardless of their academic standing, says MacNeil. Group testing allows students to identify personal misconceptions related to course content and better their understanding of the material in a way that allows students at Laurier to learn from each other. Beyond flipped classrooms and collaborative testing, MacNeil recognizes that significant learning takes place outside the classroom and appreciates that students are encouraged to apply what they’ve learned through their course experience to other parts of their lives. It is Laurier’s attention to “wellness, academics, hands-on learning and both faculty and student support, giving instructors the chance to consider the whole student experience,” that MacNeil says sets the university apart when it comes to teaching and learning.